Triathlon races come in many different sizes and competing in a multi-discipline event is daunting enough without navigating through which type of event you should start with. This blog is intended to help you understand the different distances and what they will mean in terms of amount of training needed to get you over the finish line. This type of race is the entry level to triathlon with the swim generally conducted in a pool so avoiding the added uncertainty of an open water event. Distances are usually a 400m swim, 10km bike & a 2.5km run. Finishing times vary with experience but you should be thinking of completing it in under an hour. Training for a Super Sprint depends on your base level of fitness but most active people should be able to get themselves into suitable shape in under 1 – 3 months. This type of race is often the first opportunity for triathletes to try their hand at an open water event. Distances are usually a 750m swim, 20km bike & 5km run. Finishing times vary but the key differentiator tends to be your performance on the bike. For your first attempt you should certainly be aiming for under 2 hours. Training for a Sprint triathlon varies and will depend on which discipline is your strength but you should be able to get round with 3 – 6 months training. Sensibly named distance which refers to the same distances as competed every 4 years at the Olympics. Having seen the Brownlee Brothers making this look easy it is your chance to feel like an Olympian. Distances are usually a 1500m swim, 40km bike & 10km run. You could be talking about 3 hours of punishment here so not something to attempt if your only exercise experience has been dashing to the toilets in the pub. Training for an Olympic triathlon is certainly something you can achieve on your own but you might it more structured and simpler by joining your local triathlon club. From a standing start of zero fitness you should probably be allowing about 6 months of training to enjoy your race. Otherwise dubbed the half-iron distance triathlon certainly a serious challenge to any athlete possibly undersold with the label “Middle Distance”. Distances crank it up to a total of 70.3 miles or 113km in total. The swim comes in at 1.2 miles, 56 miles to get through on the bike followed by a full half-marathon run of 13.1 miles. Time to complete this distance can vary depending on the type of swim, sea, river or lake & the difficulty of the bike & run course. 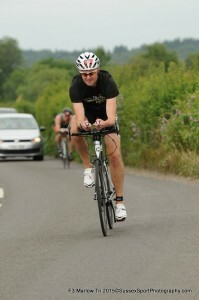 All in a 70.3 distance triathlon could be over 6 hours of intense exercise to complete. Training for something like this really needs a plan and an understanding family! Certainly you could preparing for a race of this distance for 6 – 9 months. The Daddy of triathlons that refers to the brand “Ironman” but includes all long distance triathlons whether they are official Ironman events or not. The distance of each discipline is enough to worry any normal individual attempting just one of them. 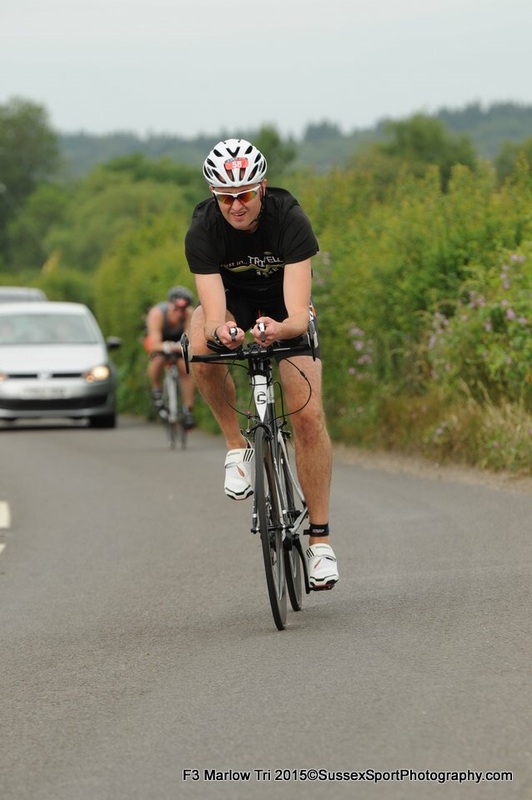 Completing a full distance triathlon means swimming 2.4 miles (3.86km), then cycling 112 miles (180.25km) finishing off with a marathon running 26.2 miles (42.2km). All in one day, no breaks and time for recovery. Most races have a cut off time of 17 hours with cut off times after each discipline, so you could get to the end of the bike after 12 hours of exercise to be told your race was over and not allowed to attempt the marathon. You should be thinking about training time for something of this scale in terms of a years worth of planning and effort.